News — Create with Paperchase! New workshops available now in store! 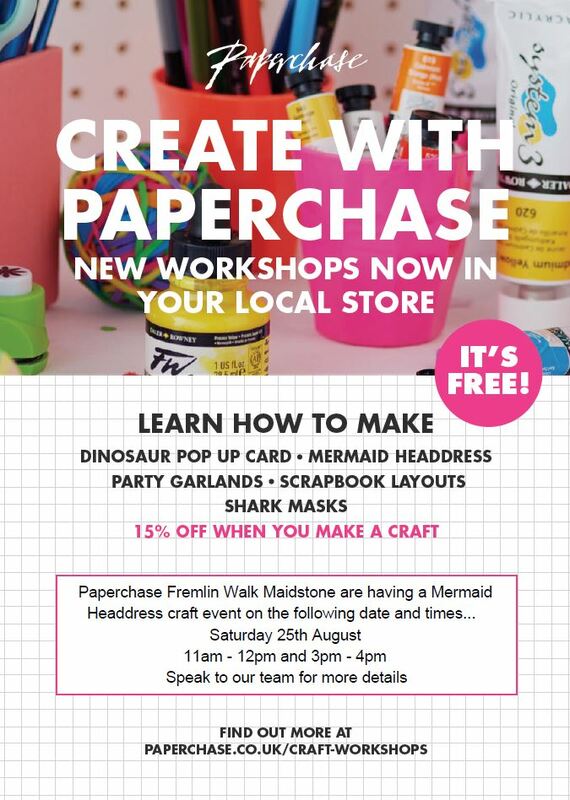 Learn how to make: Dinosaur pop up cards, Mermaid headdresses, Party garlands, scrapbook layouts and shark masks! Also get 15% off when you make a craft. Visit in store on the 25th August from 11am – 12pm and 3pm – 4pm! Speak to the team in store for more details.